The 25-year-old man received multiple gun shot injuries to his chest when he was shot at around 3:15 pm. 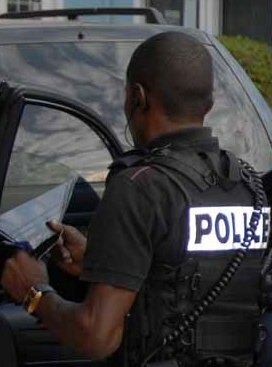 His killing was the fourth murder of 2010; the fifth was to occur some 20 hours later in the Birch Tree Hill Lane area of West Bay when Damion Ming was shot and killed at around 9:45 pm on the 25 March. Police have arrested two men aged 22 and 29 years for the killing of Ming but no charges have yet been brought against the two men who remain in custody. (CNS): The sports minister has called on the community to get out and support the country’s athletes this weekend at the CAFIFTA games. Mark Scotland, visited the athletes as they made final preparations at the Truman Bodden Sports Complex this week and met with some of the young sports men and women who are flying the flag for team Cayman at the games which are being held here for the first time in 15 years. The games will take place between 3 and 5 April, when some of the region’s most promising athlete will show case their talents. “CARIFTA is arguably the most important regional junior athletic championships. Moreover, this year’s event has special significance, as these games will serve as a qualifying meet for the inaugural World Youth Olympics to be held in Singapore this August. So our team needs us in the stands to cheer them on,” Scotland said. 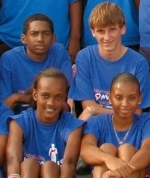 The Cayman CARIFTA 2010 team comprises 27 athletes in two age groups, U17 and U20. With a range of talents, the athletes will represent the Islands in the high jump, long jump, shot put, discuss and javelin throw, sprint and long-distance events. Cayman has also entered three relay teams (U17 Girls, U17 and U20 Boys). Although one of the smaller competitor countries, the Cayman Islands has won over 60 CARIFTA medals to date, bringing home CARIFTA honours every year since 2000. These include two gold medals won by Kareem Streete-Thompson with record-setting performances in the long jump (7.83m in 1989 and 7.95m in 1990). Meanwhile 2010 CARIFTA athlete’s representing Cayman Brac, Andrew Frederick (16) and 13-year-old Jonathon Frederick (both missing from the photo of CARIFTA athletes below), attended an assembly at the West End Primary School on Friday 26 March accompanied by their coach and Government officials to speak with students about the importance of pursuing sports. Andrew Frederick, who is competing in his second CARIFTA Games, narrowly missed a medal in the shot put at last year’s games in St Lucia, finishing fourth. He appears stronger this year and his throws have improved making him one of Cayman’s hopeful medalists at the upcoming Games. Jonathon Frederick has worked exceptionally hard trying to master his skills in the discus. The two athletes are also cousins and both attend Cayman Brac High School. Andrew told the students that he was glad that his mother and coach continued to push him and encourage him to be his best. He also said that he has learnt how to be disciplined in his personal and academic life through the skills he has learnt in sports. Jonathon shared with the students that making a commitment to sports did mean he had to work hard and dedicate a lot of time to training, but said that he maintains a balanced life as a teen. He said that he has learnt how to manage his time better especially academically, and views sports as an opportunity for him on many levels. “Both athletes have shown great dedication, determination and have worked hard to accomplish this milestone,” said Brac Coach Flynn Bush. (Times Online): Jury-less criminal trials have sparked controversy in the legal profession, pitting prosecutors against defence lawyers. The Criminal Justice Act 2003, which made them possible, was introduced amid concerns over jury nobbling. David Blunkett, who was Home Secretary, said that in London alone £9 million was being spent every year on surveillance of jurors. People who tried to intimidate jurors did so for one reason, he said — “because they think that those in front of the judge and jury will be convicted”. So the Act allows for trial without jury if there is “evidence of a real and present danger” of tampering. The growth of organised crime has made interference with juries an increasingly serious threat to justice. He added that some 600 cars have had the tint removed, including from cars used by the gang members. He said it was all about making gang members visible to the police and witnesses when they are involved in crime. He explained that road blocks and stop checks were part of the increased policing and keeping the streets safe because the blocks enabled police to track gang members and wanted individuals, as well as turning up guns and other weapons and drugs. The commissioner said the checks also provided an opportunity to gather important intelligence regarding the recent violent crime. The police would continue with the road checks, Baines said, as well as the swamping of hot spots and strategic locations, with the primary goal of monitoring known offenders and disrupting gang activities. (News27): The Privy Council has agreed with the Cayman Islands’ Court of Appeal and rejected a claim by a Caymanian man convicted of being involved in a “Ponzi” scheme. In 2005 Patrick Tibbetts was found guilty of money laundering associated with the collapse of a car loan business known as Cash 4 Titles. Tibbetts was sentenced to 3 years in prison, while his co-defendant, Lewis Denton Rowe, was acquitted. Tibbetts appealed his guilty verdict but the court of appeal rejected the case, which was then taken to the Privy Council. Tibbetts claimed his verdict was affected by jury bias. He said a casual friendship between a juror and a key witness made it more likely that the juror would believe that witness’s evidence. But the Privy Council found no grounds to overturn the Court of Appeal’s decision, saying there was no real possibility that the juror was biased. The governor said on Tuesday that he is overseeing legislative changes, which he says will be tools to help law enforcement agencies and the criminal justice system tackle the unprecedented levels of violent crime gripping the Cayman Islands. Speaking at a press briefing regarding the work of the National Security Council, Duncan Taylor said there had been a number of meetings with members of the criminal justice system at what legal measures can be taken to make it easier for the police and prosecutors to do their jobs. Acting Attorney General Cheryl Richards QC (above) explained that the Legal Department was looking at how legislation could be modernised and made more effective. The key law which is currently being worked on is the draft police bill, which, she said, will modernise certain provisions in the existing law that define critical things, such as how and when and which intimate and non intimate samples the RCIPS can take, the conditions for search warrants, and when police can test suspects for drugs. Richards explain that these powers could be widened to cover more offences and circumstances. The country’s leading prosecutor also explained that the law would be changed to allow for tape and video recorded interviews and establish the codes of practice and legal procedures for that. Changes to a defendant’s right to remain silent are also going to be made, she warned. “The law will provide for inferences to be drawn with regards to the silence of a defendant and the refusal or failure to account for objects, substances or marks on a person suspected of an offence,” she said. Richards explained that the police would be able to ask suspected offenders to give an account for things in their possession or why they were at a given location, and when asked, if they could not give an account, the court or jury might then draw inferences from that refusal. She said that this would be balanced with a warning and an opportunity to consult an attorney. Both Richards and Police Commissioner David Baines suggested that this would have to be in the context of a crime having taken place at the location or for the suspect to be in possession of something that the officer has reasonable suspicion is connected with that crime. “It would have to be within the context of an investigation into a crime,” Baines said, inferring that the police could not just stop anyone and ask them what they were doing in a given location. Richards said many of the proposed changes to the Police Bill and the Criminal Evidence Law were being drawn from existing UK legislation and the Legal Department was also looking at the issue of defence disclosure to the crown, which could mean an accused would have to provide his case in response to the crown’s case before the judge or jury hears it. Richards also talked about the introduction of enforced judge-alone trials because of intimidation of witnesses and jurors. 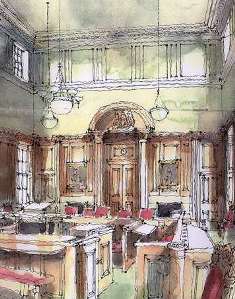 At present, defendants can elect a judge-alone trial. Enforced judge-alone trials have been introduced in the UK but only in the most extreme of cases, in particular terrorist trials relating to Northern Ireland. “We would have to consider and consult and look at all possible implications in balancing the public interest and the right of an election by a defendant,” Richards said. The department is also examining what other special measures can be taken to protect for vulnerable witnesses, Richards revealed. She said witnesses could be vulnerable for any number of reasons, including their age, from being a victim, or out of fear and intimidation. She described how witnesses could be disguised or how they could give anonymous evidence in a trial. Despite the fact that the Human Rights Commission was not consulted regarding the anonymity bill, Richards said that it was the intention to consult the HRC with regards to any further changes to legislation affecting the rights of a defendant andconsideration would be given to minimising the unintended consequences. “We are hopeful with a wide range of legislation that we will be able to arrive at the appropriate balance, “Richards said. The introduction of CCTV cameras across Cayman has also been widely discussed in the community, with some 75 possible sites identified. However, Richards explained that they could not be installed until legislation on how the video tape will be accounted for and by whom in a court of law and who would decide what those cameras will be focused on. The commissioner described the potential use of CCTV as “a godsend”, but Richards explained that, at present, when footage is used from private locations in the courts the evidence is admitted through the owner of that property, who can vouch for the veracity of the film. The authorities will now have to find a way of providing the same provenance for footage taken in the public arena for it to become admissible.